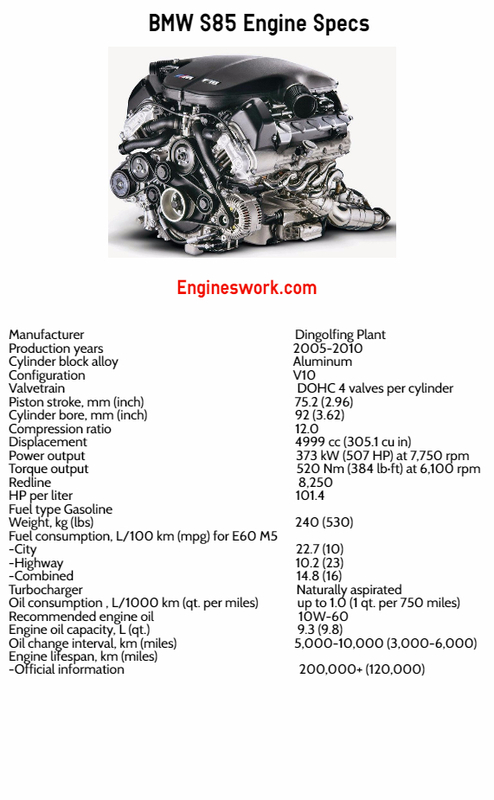 BMW S85 engine is a V-shaped 10-cylinder piston engine with two overhead camshafts (DOHC), which replaced the S62 engine and was produced from 2005 to 2010 for the M5 (E60 / E61) and M6 (E63 / E64) and Wiesmann MF5. Power unit technology is based on the Williams F1 engine. 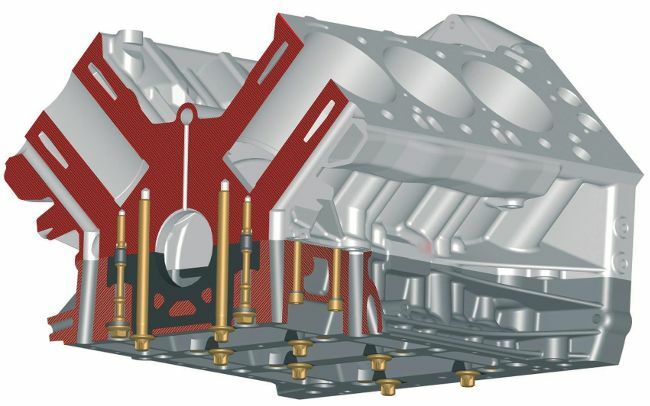 S85B50 cylinder blocks are made mainly of aluminum alloys using low pressure, except some special steels and they form an angle of 90 °. This angle is considered the best to balance the weight and reduce vibration, especially one that can affect the crankshaft. Pistons for S85 are made of high-quality heat-resistant aluminum alloy and weighs 481.7 grams, including piston pins and rings. Rods with bearing shells weigh 623 grams. 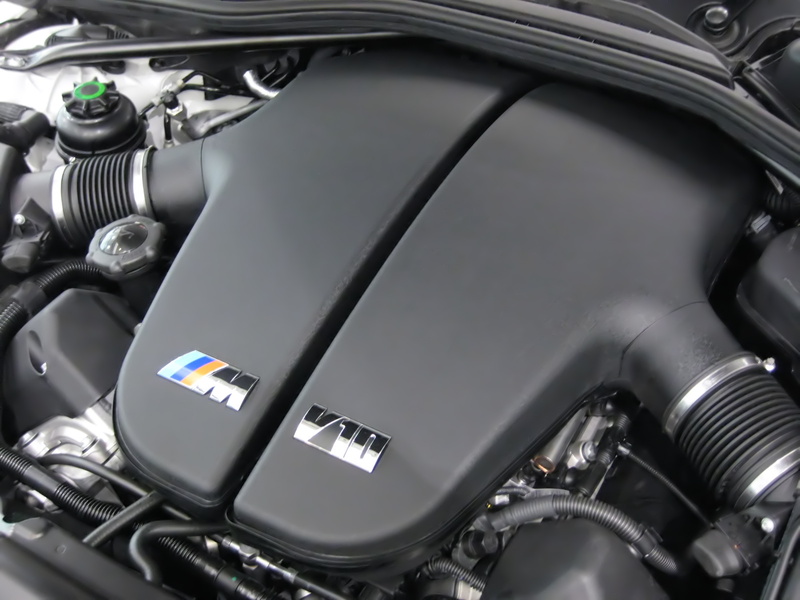 BMW S85 engine was replaced by the S63 engine. Firs of all pay attention to the VANOS system. Always check the temperature of it and try not to overheat it. Also this engine has problems with premature wear of connecting rod bearings. The interval of it’s replacement is about 50,000 miles (80,000 km).